While we have spent the last year re-structuring our companies into one entity, we have had to place the expansion on hold. This loan helped us determine how much it would cost to open the 3rd location, and we had many items to tend to before we can consider this type of expansion. Thank you all for your support in helping us start the process. We have taken steps with one part of our service for the new store, and that is to start a delivery service. We just purchased a new Ford Transit Connect after spending the last 6 months exploring how receptive customers are to having their products delivered. It is now the fastest growing part of our company! We will post photos once the car is wrapped and hopefully we will be visiting some of you soon with our local Store-to-Door delivery service! We wanted to take a moment during this busy season to say thank you to all of our funders. We wish you all a healthy and happy holiday season! Many of you know that we have been on hold regarding the new location pending some additional strategic planning around financing. We are restructuring some of our corporate relationships and have been encouraged by our financial advisors to wait until the new year to review this project. In the meantime, we have taken one component of our plans which was a local delivery service, and are beta-testing the service now. We are making improvements to it every week. If you would like o register for this new service, please visit this page to sign up, and let us do the heavy lifting this season. As an added bonus, those of you who have helped fund us this year and are local will be upgraded in your Woof Club Membership to a Preferred Customer which gives you extra rewards. it's our way of saying thank you. We have all the applications into the lenders so we hope to have this part finalized within two weeks. We can then start really moving forward with the project! I just wanted to thank everyone who has contributed to this loan - this brings us closer to the funding we need for the new store and helps us pay for the TPSS fixtures PLUS some other expenses. We will keep you posted on our progress. This also shows our lenders that we have Community Support which is just as important. Thank you again! Campaign Extension for Do Good Week! From all of us at Clovest, a hearty thanks for helping The Big Bad Woof get closer to opening their next location in Silver Spring! We're huge fans of the work they're doing and applaud them for the exemplary business they're leading. In recognition of the progress the campaign has made so far (over $10k raised!) 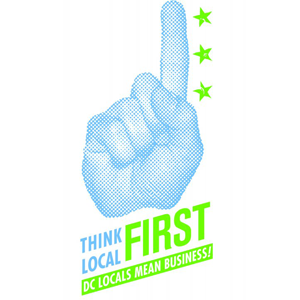 and Think Local First's upcoming Do Good Week (May 5 – 9), we've extended the campaign until Friday May 16th! 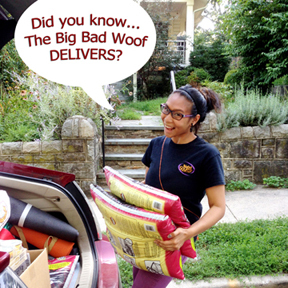 Let's make these next two weeks count and help the Big Bad Woof reach their goal– they need to raise just another $2,275 and folks can lend as little as $25 to support their campaign. Remember, all contributions are repaid over the next three years (our loans have a 100% repayment rate!) AND will help earn some great rewards for the community! We also hope that you'll check out some of the great events scheduled for the week and get a chance to hear from some of the leading businesses and entrepreneurs that are the driving force of our local economy. Above all, being a community oriented company, we want to truly thank you, our community, for the gracious support you've provided thus far. As always, if you have any comments or feedback, please don't hesitate to reach out to us at [email protected] or (202) 670 – 8716. First we want to thank all of our current lenders. We are in a final push so please send out a link to your networks for this campaign to help push us up and over the edge. I also wanted to provide a link for the conceptual drawings for the new space. It is out for review with the landlord so we are hoping to have their blessing soon. Bids are coming in from the structural engineers now. Hope you like the drawings, we hope to have more full-fledged renderings posted soon. we finalized the conceptual drawings this morning with Kelly and the plans are now going out for review with the mechanical engineers! The plans look GREAT, and we will be putting in the dog wash. The vet that will open two doors down will offer full grooming services. We have signed a contract with travis Price Architects to start on the conceptual drawings of the new space at the old TPSS Co-op location. We will be able to utilize many of the old fixtures and equipment at the natural food store, keeping these items out of the waste stream and extending their useful life. Thanks to KIVA Zip for helping us with the first phase of crowd-funding for this project!